For your utmost comfort and relaxtion, guests at The Printing House can unwind after a long day of sightseeing at our social lounge, the Living Room, which is located on the 2nd floor. It’s a great place to put your feet up and take advantage of the free Wi-Fi that ( available throughout the property ) to catch up on emailing and social media, watch the latest news or your favorite TV show on our HD television, or just catch up on your reading. 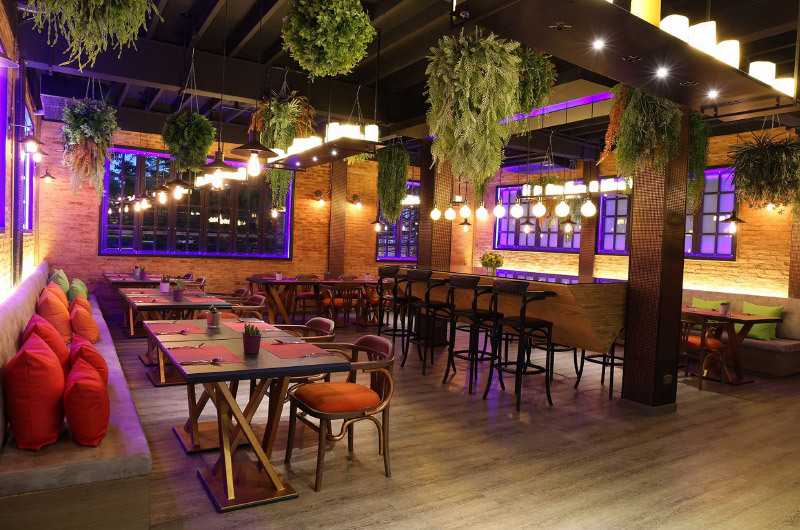 Also on the 2nd level, located next to the“Living Room”,is our main dining hall, The Letter Press Cafe & Restaurant, Relax in an informal setting that is modern, edgy, bright, yet cozy with colorful fabrics that contrast with the building’s cool marble and steel. Enjoy an rray of a la carte menus, including authentic Thai dishes, tasty international cuisine and Chinese favorites. Alcohol beverages, including beers, wines and spirits, are also available. The Letter Press Cafe & Restaurant is open daily for lunch from 11:00 am. to 2:30 pm. and dinner from 5:00 pm. to 10:00 pm. 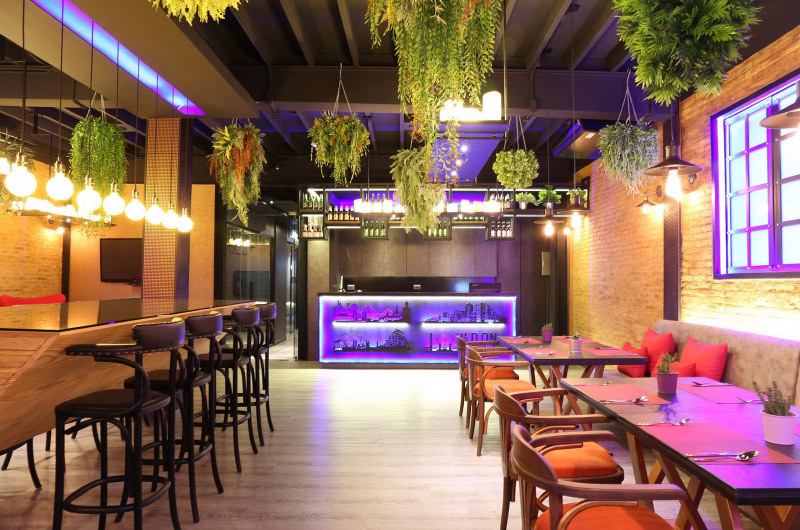 The restaurant is also available for private parties of up to 60 persons. a former life, the rooftop on the fifth and the sixth floors was used as a gathering place for students, teachersand printers. Today, The Press Sky & Bar is an ideal place for watching the sunset,or enjoying an aperitif or post-dining drink. 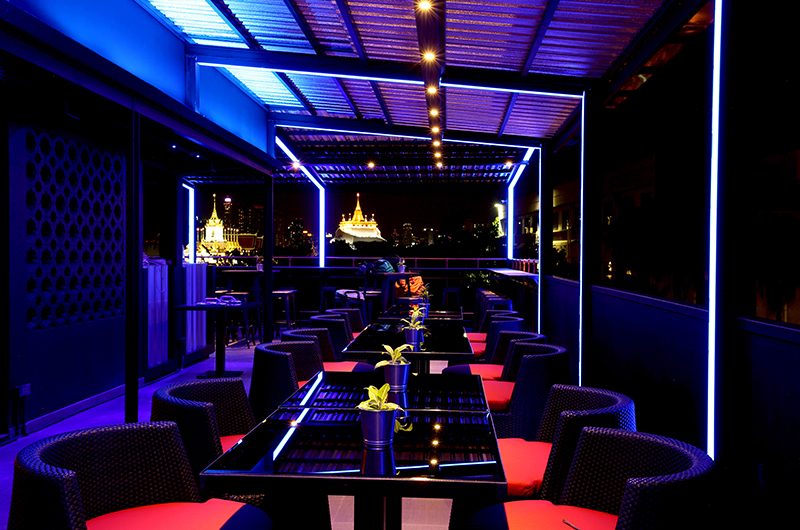 Guests looking for a delicious meal can savor a wide selection of Thai and western culinary specialties, finger food and light snacks, while chilling out to the magnificent view of the cityscape. The view is particularly spectacular on the sixth floor, whereThe Press Sky & Bar offers a full 360-degree panoramic view of the City of Angels. 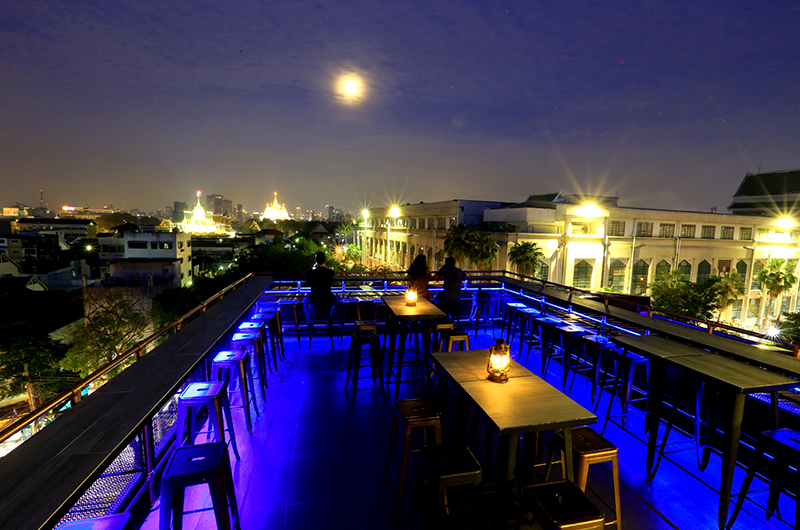 Guests can relax and enjoy a favorite meal and cocktail on high tables and bar stools, while they are mesmerized by unobstructed viewsof surrounding historical landmarks, such as the Giant Swing Golden Mount, the Rama 8th Bridge and Loha Prasat Metal castle. The Press Sky & Bar is also available for private functions.